Throughout the evening of February 2nd, the concept of light arose many times. At the homily, Fr. Erickson mentioned the light that dispelled the darkness after Christ’s Passion. The Apostles were lost and scared after Christ’s crucifixion. Later, He appeared in their midst and their faith was illumined and they were sent to every nation to bring the fire of faith to all. The rest of the evening reminded me of the many gifts that Holy Mother Church offers to Her children to strengthen their faith. We began with the Holy Sacrifice of Mass in the Extraordinary Form. The Eucharist is the source and summit of our faith. 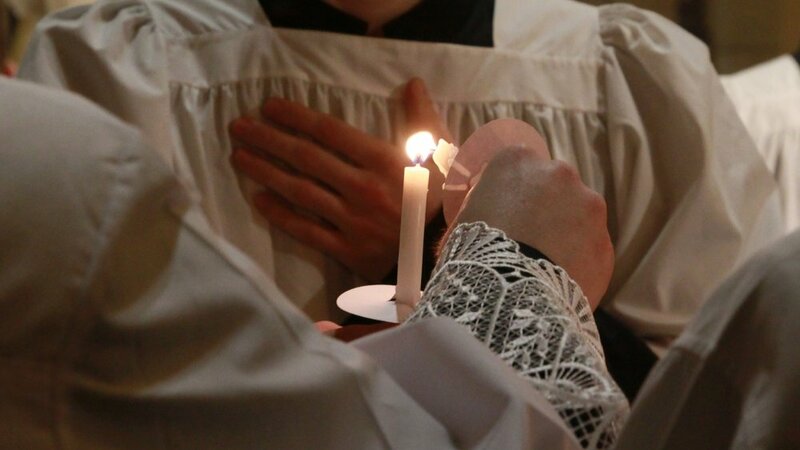 Through the Mass, God freely offers the grace that strengthens every Christian’s life. 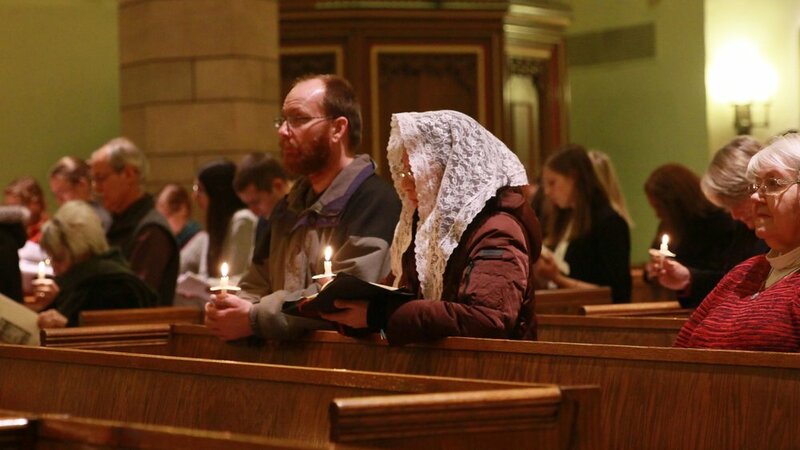 We leave Mass being sent in peace to offer the faith and grace that has been received to every person we meet. Not only was grace received from the Sacrament itself, but also through the beauty of the setting of St. Mark’s Church. The choir at Mass offered the beauty of God’s creation through the gift of music. When we hear, see, and experience beauty, God offers us grace through those things that resemble His own beauty. God offers us His beauty, that transforms our souls and fills us with the beauty of faith. After Mass, we entered into community. Christ offers his love and gift of faith to every Christian through the gifts that others present to us. We come together in community to enjoy the presence of others and to be challenged to grow beyond ourselves. Christ tells us, “For where two or three are gathered together unto my name, there am I in the midst of them.” (Matthew 18:20) So, as we gather together as Christians in the name of Jesus, he is present there too offering us His gift of faith. We, finally, learned about the gift of contemplation through Dr. Boyle’s reflection. Through our intellect, God offers us the gift of faith by being able to learn more about Him. We will never be able to fully grasp the essence of God. However, we ought to do everything we can to understand God more and more every day. We engage Beauty, Truth, and Goodness in contemplation to understand God’s essence just a little bit more. Through understanding, we are given the gift of God’s love that strengthens and illumines our faith. Christ and His Church offer us many gifts. In a world that seems to grow darker by the day, we must engage these gifts to allow our faith to be strengthened. From that we enter the world and, with the grace of Christ, we break through the darkness of evil to bring each person back to Him.